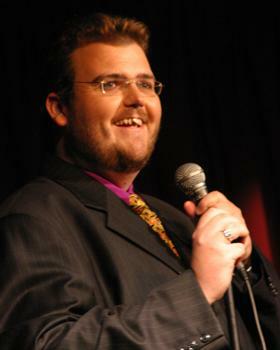 Greg “Sully” Sullivan is an award-winning stand-up comedian, writer and broadcaster. Since beginning his comedic career in 1995, he has performed at the famous Improv in Los Angeles, appeared on numerous TV shows and embodied a vast range of roles for Triple M Brisbane, spanning an incredible 14 years. Greg has performed on television, radio, in theatres, overseas, to corporate bigwigs and to smalls groups of disinterested tradesmen whilst standing on the back of a ute. He has written columns for Bean Scene Magazine and jokes for the NRL Footy Show and has even written material for Rich Hall, which was used in his Edinburgh Comedy Festival show. As you can see, he'll pretty much do anything for money. Greg has also performed at major festivals such as the Melbourne International Comedy Festival and the Sydney Comedy Festival Gala and has appeared on television shows such as Good News Week, Home Delivered Humour, O'Loghlin on Saturday Night, The Today Show and A Current Affair. Despite a lack of sporting prowess, Greg has entertained at functions for the Queensland Reds, the Queensland Bulls, the Brisbane Broncos, the Brisbane Lions and stayed in camp with the Queensland State of Origin team. He is now looking to broaden his horizons and, most importantly, find fulfilling work that allows him to return to doing less than his fair share of the housework.